When finally I had a chance to walk through the garden yesterday the sun was well on its way down. A small circle of flowers in the front yard drew me out for a closer look. While there is a lot of pink Echinacea throughout the garden putting on a fine display this summer, this ‘White Swan’ adds a touch of sophistication. 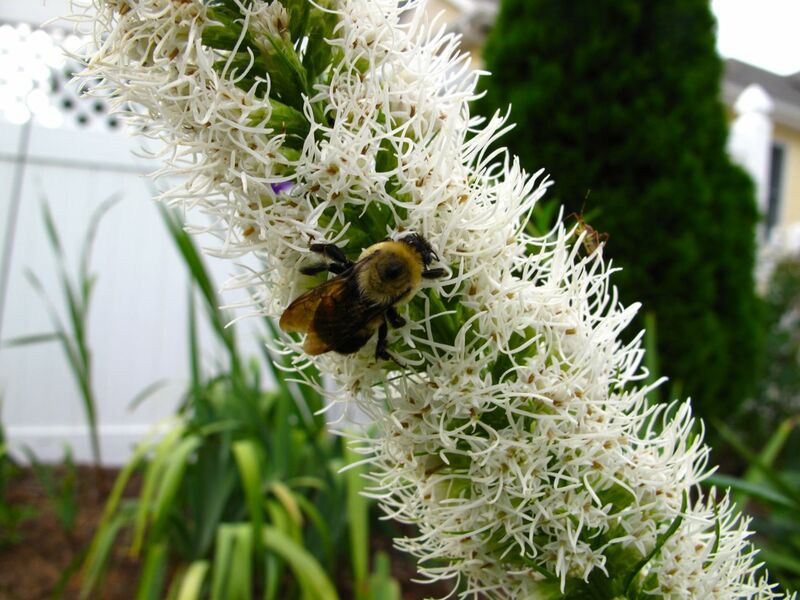 Planted with the White Swan is Liatris. It did fine last year but turned brown right away this season, perhaps not happy with the excessive moisture. Another Liatris in the main part of the garden fared a little better and last evening drew a late diner to its flowers. 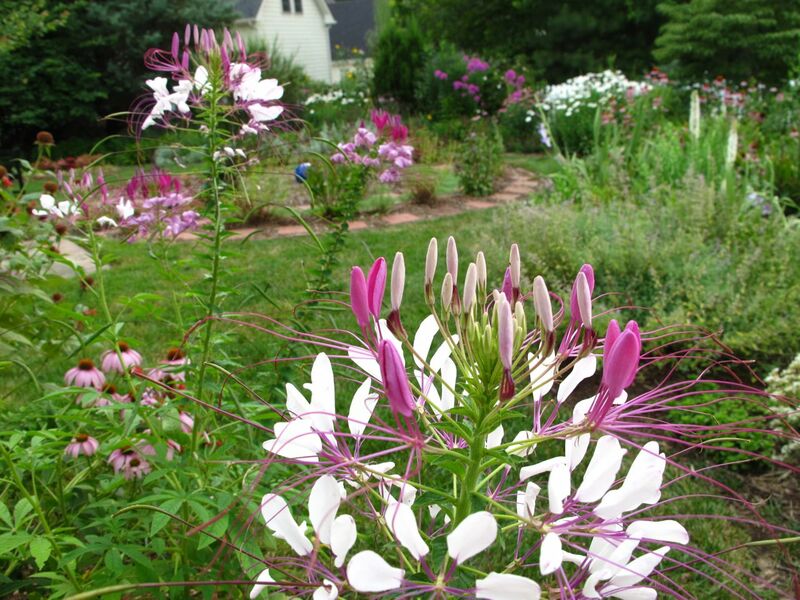 Cleome is coming into its own now. In the Southern Path it has taken hold among the stepping stones and needs to be relocated. This patch is growing against the house near the northern gate. The Latana has filled out now with its multicolored clusters. This non-native attracts butterflies, but is invasive in some places. This entry was posted in garden and tagged Cleome hassleriana, Echinacea purpurea 'White Swan', garden photography, lantana, nature photography, summer garden on July 8, 2013 by pbmgarden. Your White Swan is very elegant, I really must try some, we have quite a few pink ones, but the white would be a nice addition. 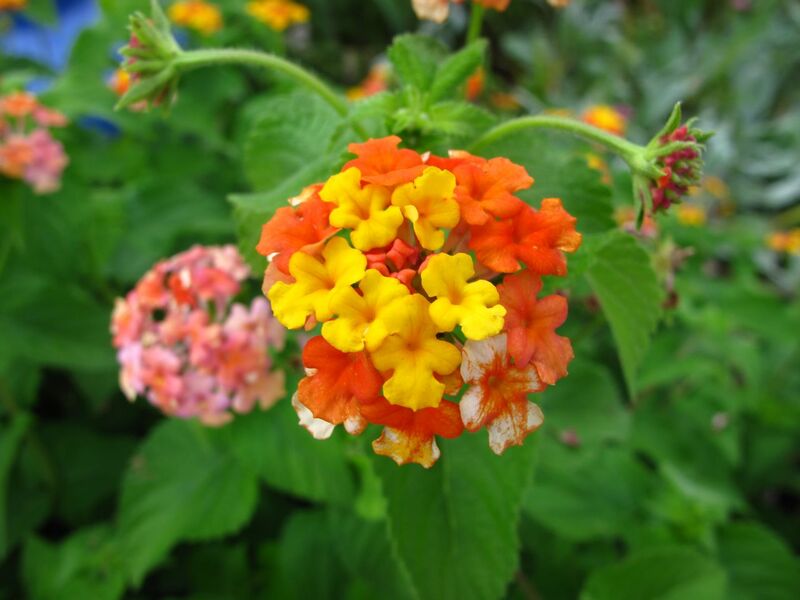 I like your Lantana, but we would have to grow it as a pot plant as it wouldn’t be hardy here. Hi Pauline. I see a lot of lantana cultivars in purple or yellow used as annuals around here. They don’t get as large but make fillers for pots, hanging baskets or beds. 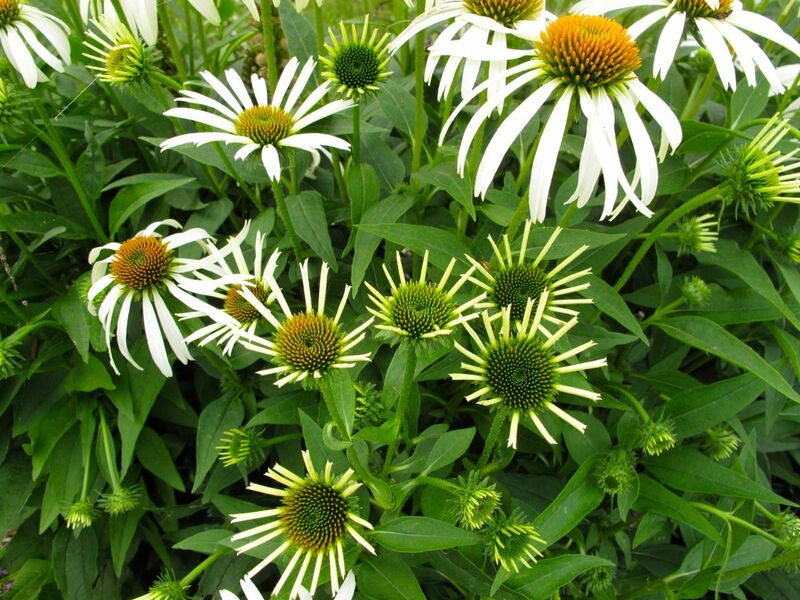 Your echinacea is lovely Susie. I have white Margerites flowering at the moment and they do stand out in the evening light. The Marguerites would be nice. It’s nice to have something to catch the last bit of light. 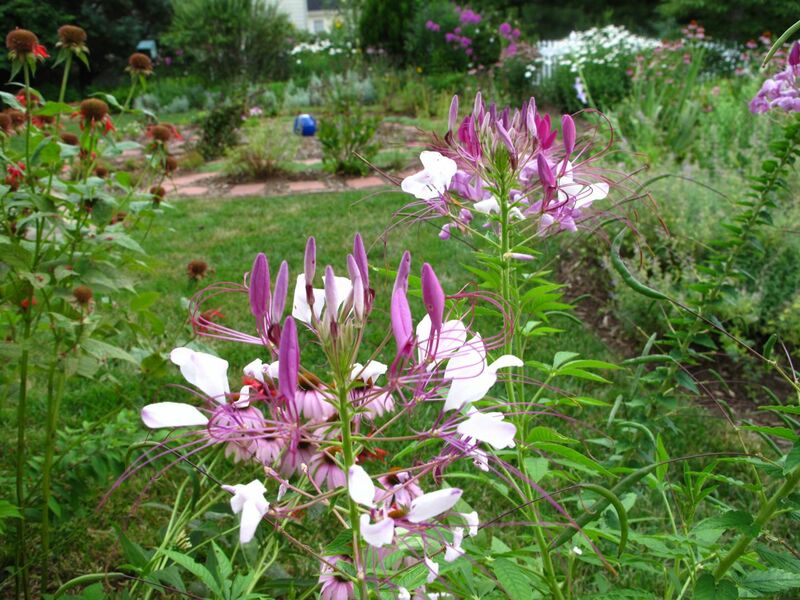 I like Cleome and Lantana. 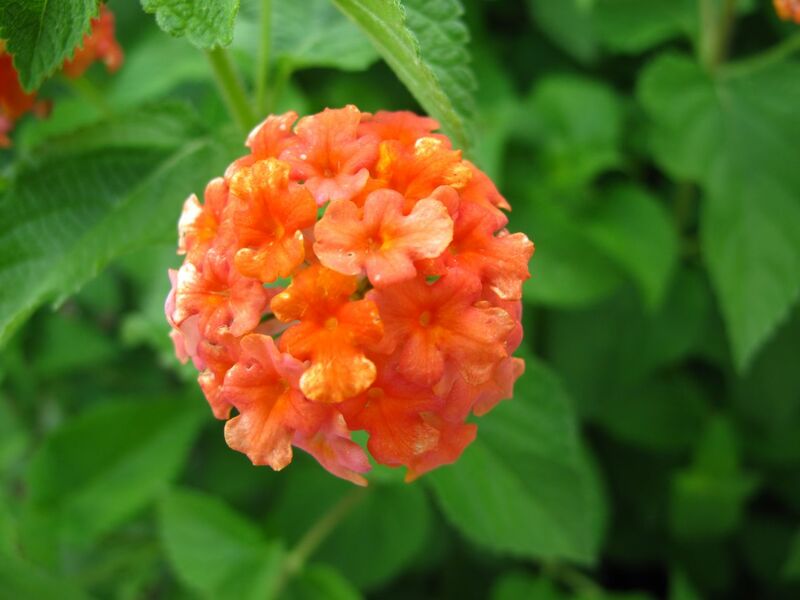 Lantana is not hardy here so we don’t have to worry about it being invasive. Very sturdy and at the same time elegant, your Echinaceas, Susie. They would be nice in a moonlight garden. I have E. pallida and pink and orange E. purpurea and it always thrills me to see that butterflies and insects are just as pleased (or more 😉 ) with them as myself. Maybe there is no bad time to be in the garden. My White Swan is in its second year and is bigger. I wouldn’t mind if it wants to self-seed a little. 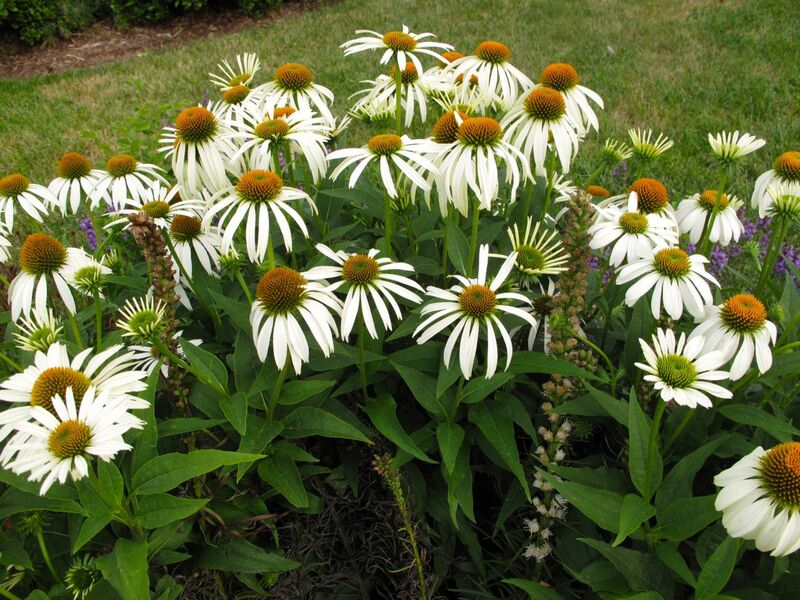 Always love Echinacea. Your ‘White Swan’ looks great. Thank you. Echinacea is reliable even when we don’t have much rain, but seems to appreciate the extra waterings from daily showers this year. 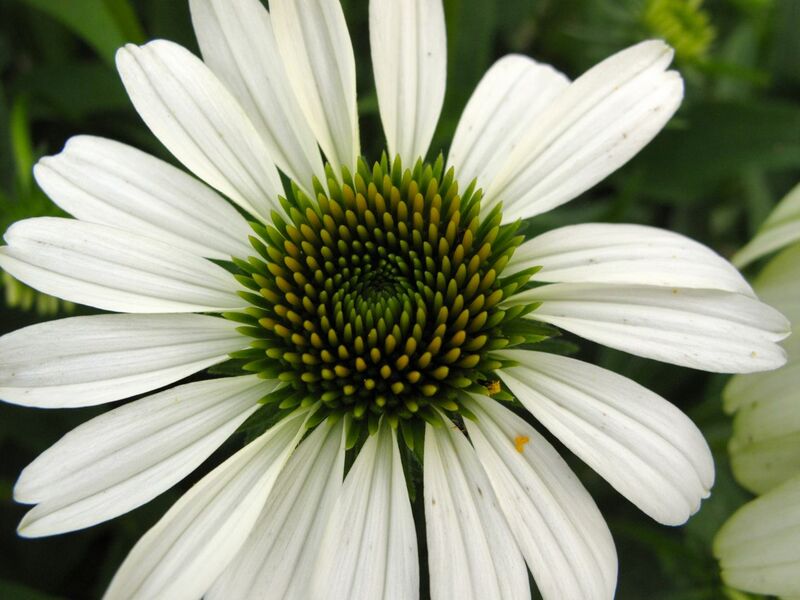 I think the white echinacea may be my favorite…the way the flower develops is just beautiful…your garden is simply gorgeous. Thank you Donna! I like it a lot also. 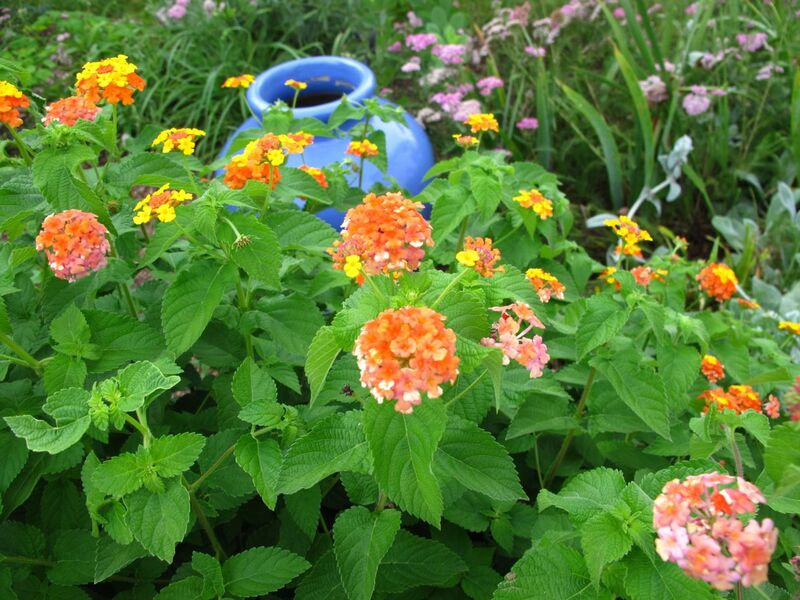 I love that lantana with the blue urn. The colors are gorgeous together. Lantana is hit or miss for me. In warm summers (like this past July) it does well. But if I’d bought it too early, it might have rotted in our overly wet June. So as much as the butterflies and hummers love it, I try to stay with more “region appropriate” flowers–for me, at least. Glad I could enjoy yours vicariously! Thanks so much. The urn was a purchase I’ve never regretted–it is a good companion to everything. Glad you liked the lantana. This one is twelve years old. I cut it back to the ground in the early spring. We too had a wet June (actually it’s been wet the entire year!) but the lantana seemed to appreciate the moisture.